Astonishingly, the CCG does not seem to have modelled the impact on patients of dropping the national target. They have not considered if this is safe, or if it will lead to worse patient outcomes, including avoidable patient deaths. They are accepting second rate care for Shropshire people. 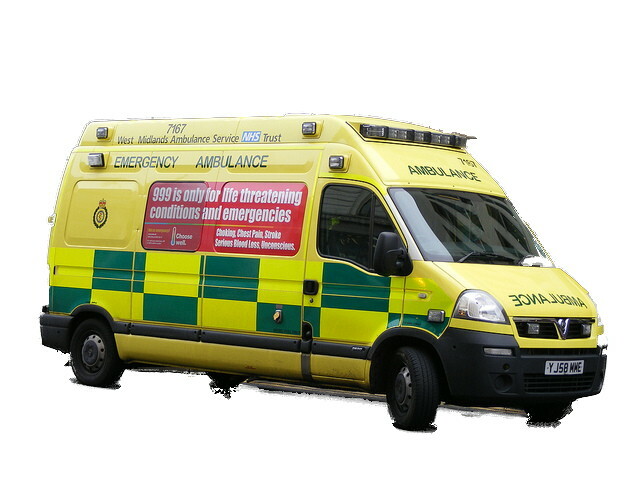 The CCG will be asking Shropshire Council’s ‘Health and Adult Social Care Scrutiny Committee’ to approve its plans to opt out of the national ambulance response time at the Scrutiny Committee meeting on 24th October2. There is an overwhelming risk of future deterioration in ambulance response times. Figures obtained by ‘Shropshire Defend Our NHS’ in response to a Freedom of Information request show that it takes an average of 15 minutes longer for a Shropshire patient to be taken to the Princess Royal Hospital in Telford rather than the Royal Shrewsbury Hospital3. If the Future Fit NHS redesign leads, as expected, to a single Emergency Centre in Telford, the pressure on the ambulance service will be significant. This would mean a typical 15 minutes increase for around 9000 patients each year. Quite apart from the impact on patients, this means fewer ambulances available to respond to calls as the time spent to deal with individual patients is substantially longer. There are no plans under Future Fit to increase investment in the ambulance service. It cannot be a coincidence that the national target is being dropped now. The plans from Shropshire’s health bosses to opt out of national ambulance targets are unprofessional and unacceptable. It is extraordinary that they haven’t bothered to think through what this means for patients. West Midlands Ambulance Service will still be required to make its overall 8 minutes target – so this just gives them the green light to pull ambulances out of Shropshire’s rural areas to focus on urban areas instead. Why should your life be worth less if you live in the countryside? We need our councillors to take a strong view on this. Are they willing to support worse ambulance services in Shropshire? Will they really agree to a reduced service that is likely to kill people? This is in preparation for having one Emergency Centre in Telford. They’re ditching targets now because they know ambulance response times will get much, much worse. It’s surely time for our MPs to stop ignoring what’s happening to the NHS in Shropshire. A single A&E in Telford is a disaster for Shropshire people, just as a single A&E in Shrewsbury would be a disaster for Telford. We need two A&Es and two hospitals. Cllr Dakin, Chair of the Shropshire Health and Adult Social Care Scrutiny Committee, announced at the Shropshire Health and Wellbeing Board on October 10 that the next meeting of his Committee, October 24, would consider a request from the CCG to change the target times for emergency ambulance response times in Shropshire away from the Clinical Quality Commission’s national standards to something ‘more achievable’. Median active time from 999 call to drop off at hospital (i.e. response time and journey time combined, but on-site treatment time excluded), covering the period 1st April 2013 to 31st August 2014. To Royal Shrewsbury Hospital: 15 to 20 minutes. To Princess Royal Hospital: 30 to 35 minutes. (Raw data available on request).